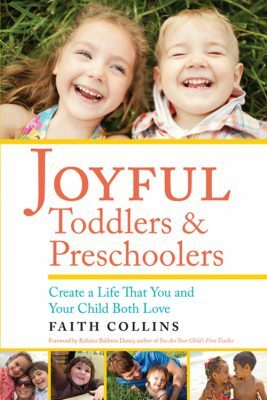 The Book - Joyful Toddlers! -Discover how to be responsive without giving in to your child’s every whim. -Learn relationship-based discipline that actually strengthens your parent-child bond. -Help your child learn to respond quickly and positively, EVEN when they can’t do what you’ve asked. A “recommended reading” book by the Center for Parenting Education. Find out what children need in order to live a life that’s fulfilling, learn to handle your own annoyance, and explore how to incorporate your own passions into your life with young children. Many parenting books lead the reader to think: “I know all this already” or, “The author obviously doesn’t know MY child.” Not this book. It is a new and exciting approach to early childhood, and you will recognize yourself and your child in every page. –Lawrence J. Cohen, PhD, Playful Parenting and The Opposite of Worry. Research-based and highly readable, this book will change the way you approach creating a life with toddlers and preschoolers. –Kim John Payne, Simplicity Parenting and The Soul of Discipline. In clear, reassuring prose, Faith Collins reminds us that toddlers are built to learn, and are busy learning even when we aren’t busy stimulating them. When parents give kids some space, the kids get to grow–and the parents get to make dinner. 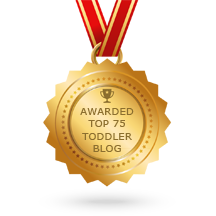 This book will help you and your toddler win/win! I wish I had had this book when I was a young mother. –Rahima Baldwin Dancy, You Are Your Child’s First Teacher. *Free Shipping is available in the continental United States only, and books will be shipped by Media Mail. For Priority Mail, I’ll take $3 off your shipping; please contact me for rates at faith@joyfultoddlers.com. If you’re buying from outside the United States, your best bet is to get it through The Book Depository, which offers free worldwide shipping.